a muslim homeschool: Have you heard of a "Home School Co-op"? 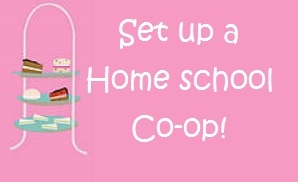 Have you heard of a "Home School Co-op"? We have all heard that saying "I home school because I have seen the village and don't want it raising my children" ...its all over pinterest right! 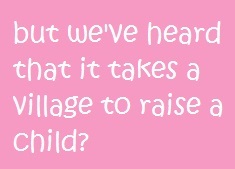 Well, what if that "village" shares the same values, morals and interests as you? What if that village holds strong the same Islamic goals and lifestyle choices as you? What if that village enlisted the same educational philosophy as you? 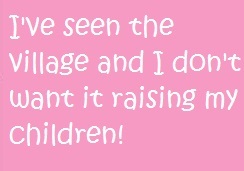 Would that village be so bad? Really? Okay, you are probably never going to find that village....and lets be honest, even if it did exist, it would probably be pretty dull anyway! I mean come-on....everyone thinking exactly the same, with the same ideas, same likes, same dislikes...what would be the point! For every family who home schools, there are just as many reasons as to why they do it. Everyone is different....every family is different. A lot can be said for having seen the village and not wanting it to raise our children.....society can and does have a deep effect on individuals and families. And when you don't live in the best of societies, you certainly don't want that village anywhere near your children or your family! But its not all doom and gloom! Alhamdulillah most of us have developed our own little mini societies locally and most of us are part of our local Muslim community. And where ever you find a cluster of home schooling families (whether that cluster is 2 or 200!) then you find families rallying together. And it is often this shared identity of being a Muslim home schooler which creates small friendly home schooling tribes, within our local wider communities! Even if you are a sole-home educator with no other family in sight, the global community is just a click away. And while online communities may not offer the same benefits as local face to face companionship can, the world wide web offers support, help, advice and yes, even friendship to your little home educating family! Let me explain......home school co-ops are something I have stumbled across online, and looking into it, I think they are something quite awesome! Basically, families will draw on all their different skills, interests and passions, and use those to effectively "teach" the community children! So for example, one parent may dream nothing but numbers....so she will set up something mathematical. Someone else may have a passion for crafting jewellery so sets up a workshop to pass on those skills. Some one else may have a degree in medicine so puts together some first aid or science classes! Perhaps one family has spent 8 years studying in Yemen so they are perfect to teach an Arabic class......do you see where this is going!!! .....Families share and pass on their skills.....you don't know how to put together an engine, but Abu Talha does, so he starts up a mechanics workshop and stops your car crazy son from pestering you to help him fix something up! Some co-ops may be quite small, some off the scale! Some may work by parents teaching lessons, workshops or projects in areas of interest or strength. Others may pool together to hire tutors! Each co-op will be individual to the needs and wants of the families involved with it. Some co-ops may run a couple of times a week, sharing out volunteer teaching time to each of the parents different talents and skills, whereas others may just run once or twice a month, offering something a little more casual and fun. I don't know a great deal about this, so I'd recommend taking a look online and seeing what sort of things existing co-ops get up to and how they have started. Its a great way to get the children working together socially, on projects they wouldn't ordinarily be able to do at home with you. You get to create your own little village and make it work for you.....perhaps not the perfect one, but a valuable none the less!